This event "#0C5A78" @ Bertrams has already ended on 09/26/2015. The third night of the BACKGROUND. CODES event series, #0C5A78, is back once again at Bertrams. 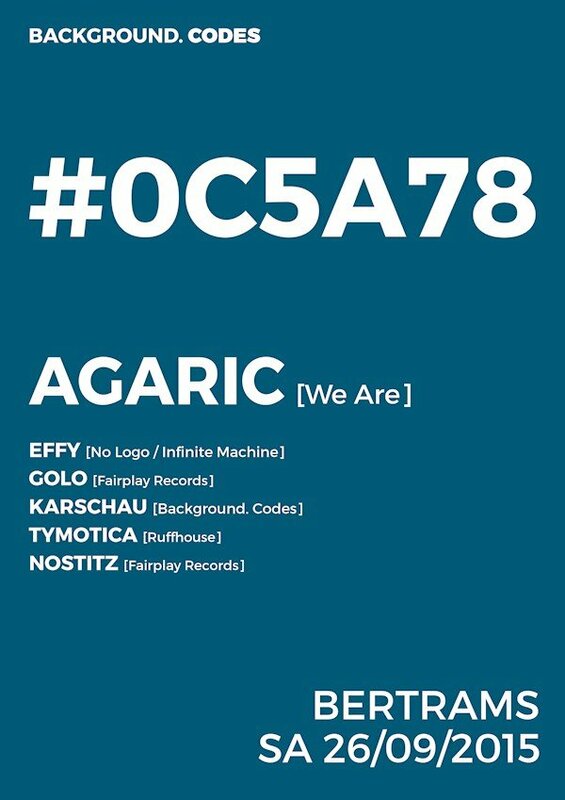 This time we’re proud to present Sweden’s techno key figure – Agaric. With more than 100 vinyl releases, Agaric evolved through several projects, styles and monikers such as Patrik Skoog and Headroom. Support comes from Irishman Effy and Fairplay Records’ label heads Nostitz and Golo. Also on support duties with a back to back session are Karschau and Tymotica.